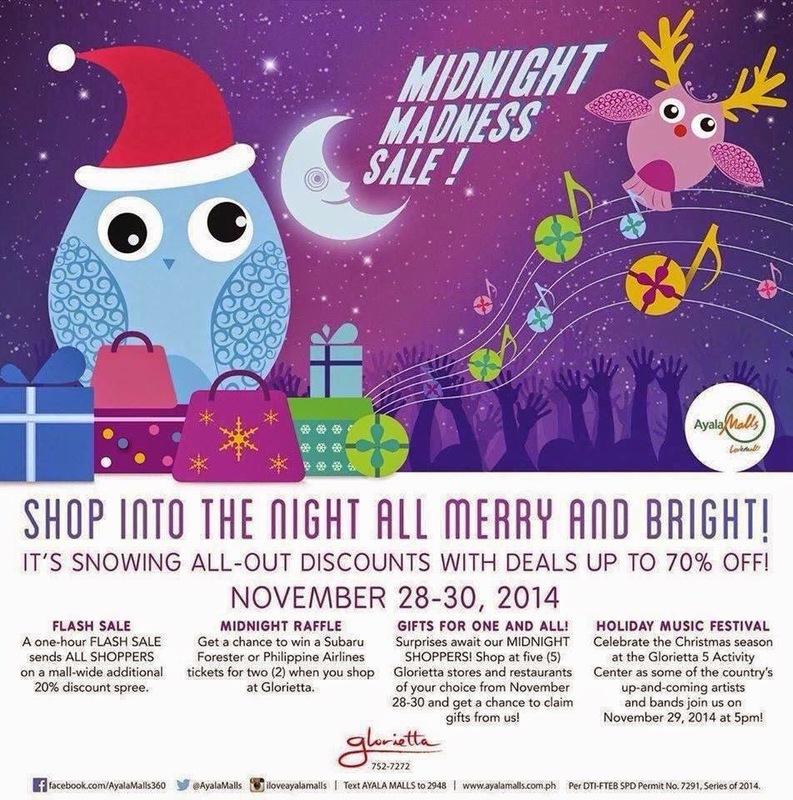 Glorietta's Midnight Madness Sale, Flash Sale and Mall Hours For The Holidays! More shopping time for you this weekend as it is Glorietta's Midnight Madness Sale! 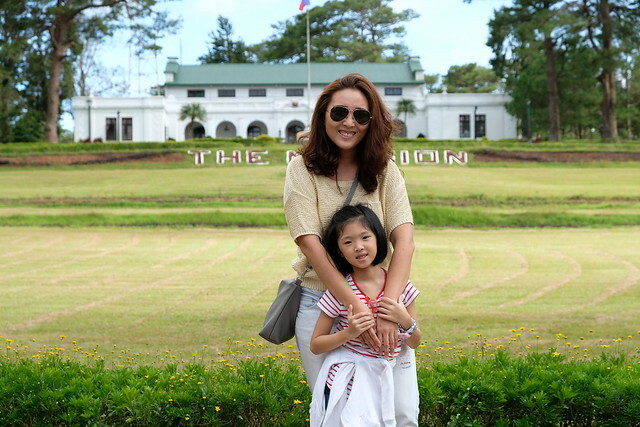 Get a chance to win a Subaru Forester or Philippine Airlines tickets for two when you shop at Glorietta. 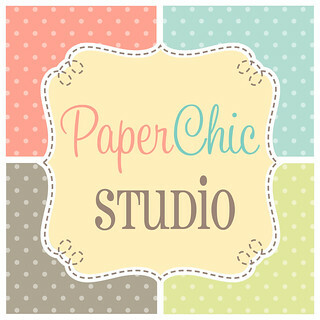 Plus a Flash Sale you wouldn't want to miss! An additional 20% discount spree! 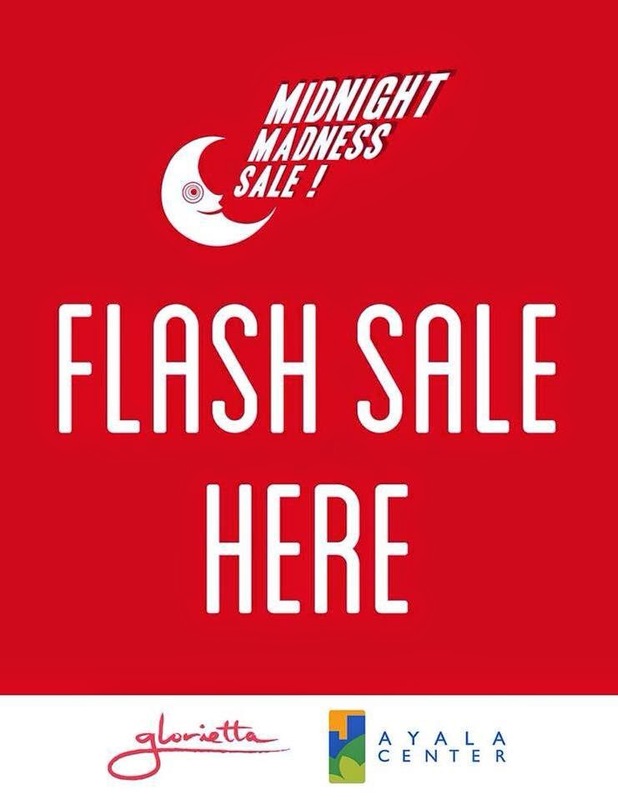 Just look for stores with FLASH SALE poster! And if you can't do your shopping this weekend, there's always next time! 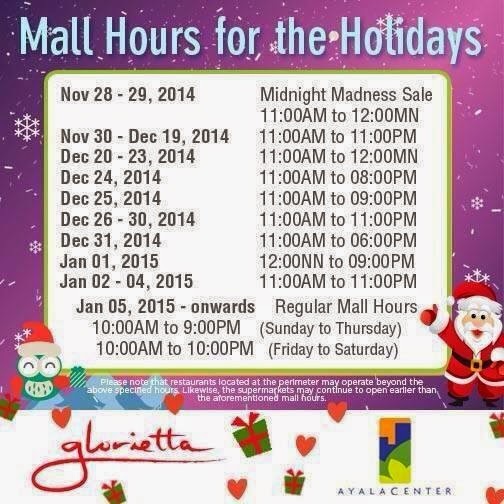 Check out Glorietta's mall hours for the holidays!